Uncle Curt, parent Simone Derow and her daughter, Willa. Librarian Curt Fukumoto’s story hours have become the stuff of legend. He draws crowds of up to a hundred excited preschoolers and grateful parents to his weekly Kāneʻohe Library sessions with books, puppets and songs on his guitar. “Uncle Curt,” who has been twice nominated by the library system as its Outstanding Employee of the Year, also has worked at libraries in Waiʻanae, Salt Lake and the main Hawai‘i State Library. “Even in this digital age children still love books,” said Fukumoto, who also offers a “Baby Storytime” for children under 2. 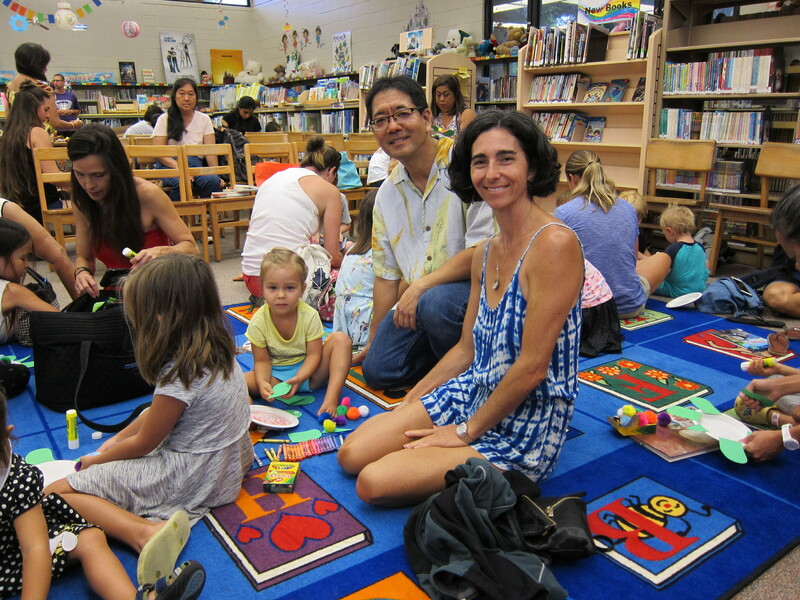 His preschool story hours are every Thursday at 10:30 a.m. in Kāneʻohe.